The abortion rights movement in Ireland was sparked by the death of an Indian woman immigrant, Savita Halappanavar. The abortion law was approved by the Irish parliament on Friday, May 25th. 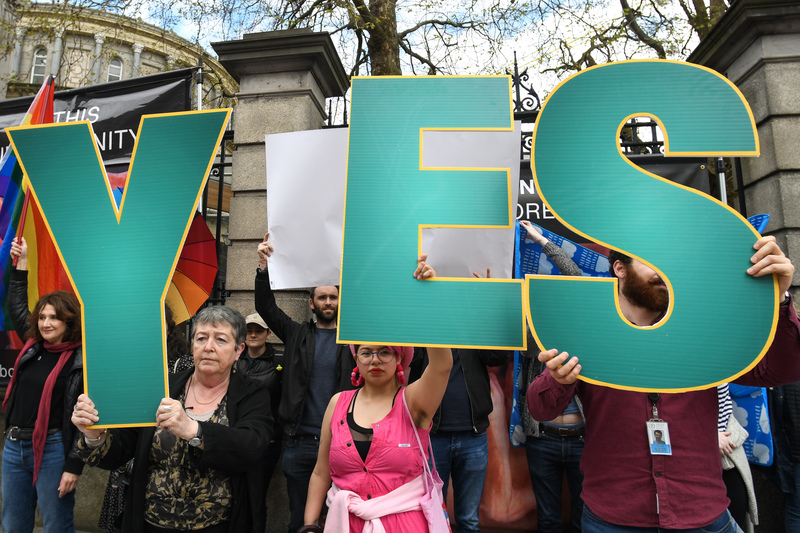 Last Friday, May 25th, was a historic day for Ireland, as voters managed to repeal the eighth constitutional amendment of the country which implied that women were forbidden to undergo an abortion, regardless of the reasons for doing it. Thus, most women had to opt for either to travel to the UK to undergo this medical procedure or for illegally ordering certain pills on the Internet that causes abortion. However, all these have ended last Friday, when 1,429,981 Irish people voted for the repeal of this ban, compared to 723,632 who voted against it, as Returning Officer Barry Ryan stated on Saturday, May 26th. Everything started to gain momentum in 2012, when an Indian female immigrant that worked as a dentist in Ireland, Dr. Savita Halappanavar, aged 31-year old, died of a septic miscarriage. Although she made a request to an Irish hospital to undergo an abortion procedure and avoid putting her life and the life of her baby in danger, the hospital rejected her request. When she first learned she was pregnant, Savita was excited that she would be called “mother” for the first time. However, during the 17th week of her pregnancy, she started having episodes of severe back pain. After being consulted by several doctors, she was announced that she was having a miscarriage. She also learned that her child would have less than 1% chances for survival, which is when she started asking a hospital in Ireland for an abortion. The main reason the hospital staff implied was that Ireland was a “Catholic country” and that they “couldn’t perform the abortion”. After enduring agonizing pain, the fetus died and was soon removed from Savita’s body. However, she already had a severe infection by that time. After a short period of time, Dr. Savita Halappanavar died. This eighth amendment that banned abortion in the majority of cases, except when the life of the mother can be saved only by undergoing this procedure, dated since 1983 in Ireland. The new abortion law will most probably allow women to resort to this procedure only during the first 12 weeks of pregnancy. Now, people throughout the entire country, including the “Together for Yes” coalition’s leaders are suggesting that this new law should be called “Savita’s law”.